Foreign Minister Sergey Lavrov has announced the start of Russia-NATO joint work on the European anti-missile defense system. But he said Moscow will retaliate if NATO continues with its unilateral AMD plans in Europe. ­Moscow’s agreement to discuss cooperation on the anti-missile defense issue within the Russia-NATO Council does not mean it is agreeing to a separate NATO program being developed without Russia, Lavrov stated at the Munich Security Conference. “If our concerns will not be taken into account, if there is no common work on equal footing, willing or not, we’ll have to make up for the imbalance… I have to stress that it wouldn’t be our choice,” the Russian foreign minister said. 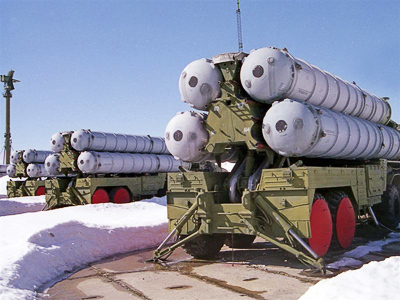 He added that in its approach to the anti-missile defense system, NATO is going a step ahead of what is going to be done in the framework of the Russia-NATO Council. He also pointed out that these complications could lead to the recent practice of “appointing enemies”, which is fraught with the return to the “logic of the past”. “In this respect, I would like to note that NATO’s excessive push for ‘collective defense’, paired with talks about some ‘threats from the East’, of course, does not make us happy,” he said. “The time has come to make a choice between general strategic interests and immediate political expedience,” the minister added. Sergey Lavrov also outlined the importance of the New START treaty, which came into force on Saturday after the Russian foreign minister and US Secretary of State Hillary Clinton exchanged ratification documents. The treaty, reducing both countries’ nuclear arsenals by a third, is not only key for strategic stability in the world but also opens new ways for Russia-US cooperation, he said. 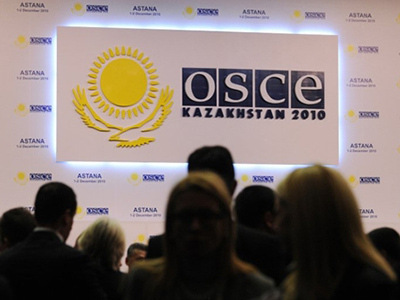 The statement was echoed by Deputy Prime Minister Sergey Ivanov, also attending the conference. “Complete destruction of nuclear weapons as the ultimate goal of the long-term disarmament process can only be achieved through strategic stability and strict adherence to the principle of equal and indivisible security for all,” Ivanov said. And US Secretary of State Hillary Clinton hailed the treaty as a historical milestone on the way to a nuclear-free world. She noted that is was symbolic that the exchange of ratification documents took place in Germany, the country that used to be the epitome of division. “When it comes to the button that has worried us the most over the years, the one that would unleash nuclear destruction, today we take another step to ensure it will never be pushed,” she said. 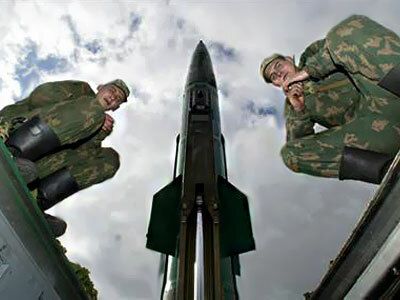 However, nuclear arms are not the only threat to world security. Lavrov brought up the issue of conventional forces in Europe. He said Russia is eager to renew negotiations on the Conventional Forces in Europe (CFE) Treaty. “We want to overcome the deadlock which is not our fault. We expected that NATO member states would join and ratify the adopted CFE Treaty… We decided to suspend it … and we are waiting for the time when our NATO partners will perceive the treaty,” Lavrov said. The document, limiting the deployment of tanks, aircraft and other weapons in Europe, was signed in 1999 at the Organization for Security and Cooperation in Europe (OSCE) summit in Istanbul. Russia was the only country to ratify it. So this was the reason it suspended the treaty in 2007. But now Moscow makes it clear it is ready for dialogue. Deputy Foreign Minister Sergey Ryabkov earlier announced a new round of talks could begin this year. 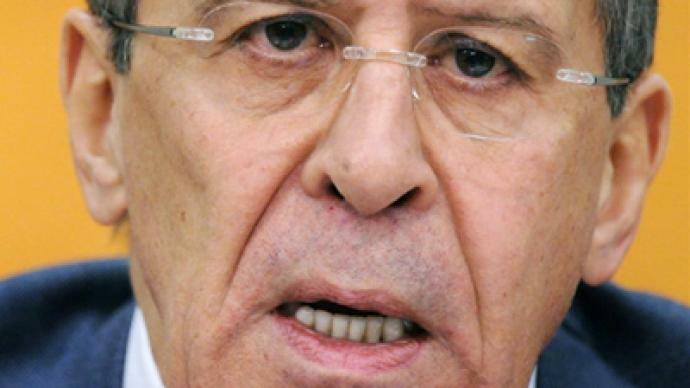 On Saturday, Lavrov said talks aimed “at coming out of this impasse” are now underway in Vienna. “We have a framework agreement, it is still being discussed. The document names the problems we need to solve but it does not suggest decisions for them. Still it reflects the readiness to formulate an agenda for talks,” he explained. 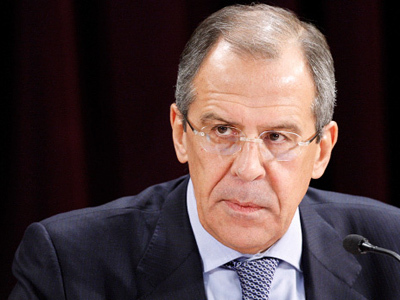 ­Addressing the conference, Sergey Lavrov also touched upon other issues that influence global security. Iran was one of them. He said that imposing sanctions on the country in June last year was a necessary step as Iran would not agree to talks on its nuclear program. So then the sanctions were a signal meant to show that the international community was no longer willing to delay the negotiations. But new sanctions would be a hard blow to the Iranian economy, which is not the aim of the international community Lavrov pointed out. For now, there is a need for a road map for Iran, a step-by-step plan, without which “no progress could be achieved”, the foreign minister believes. And the deputy prime minister, speaking later in the day, reiterated Russia’s stance that Moscow is against Iran becoming a nuclear power.